Kimberly was only a month old when her left leg was amputated. She received her first prosthesis 1 day after her 1st birthday and today a little over 8 years later she received her first prosthesis with a functional knee. Kimberly is excited to get a prosthesis with a knee because it will help her learn how to ride a bicycle. 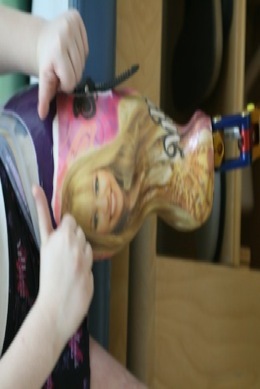 Kimberly is like most 9 year olds and is a big fan of Hannah Montana. 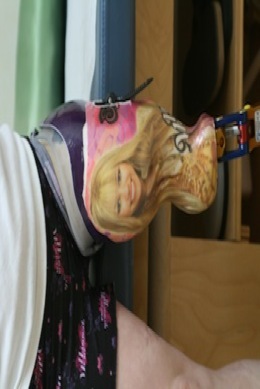 So she asked to have her new prostheses designed with a picture of Hannah on it. She got her wish!